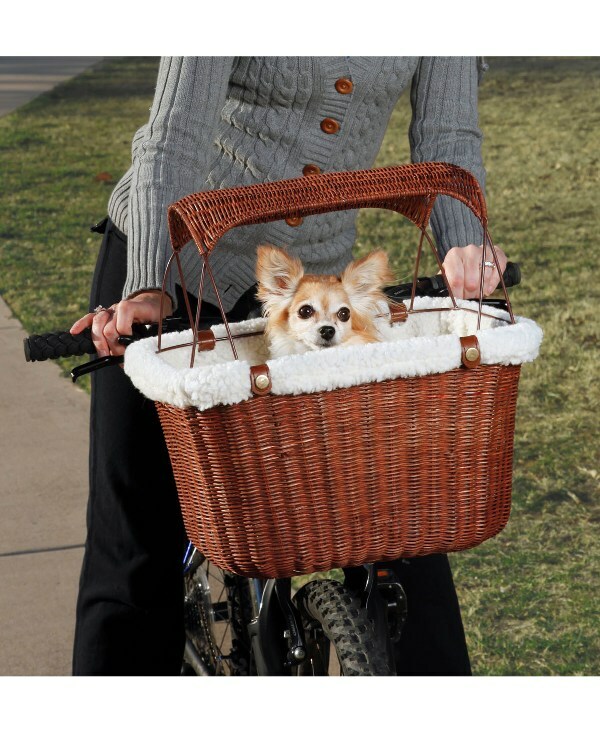 An elegant dog carrier for your bike made of Rattan construction means you and your pet will travel in style while biking around the city or the country. 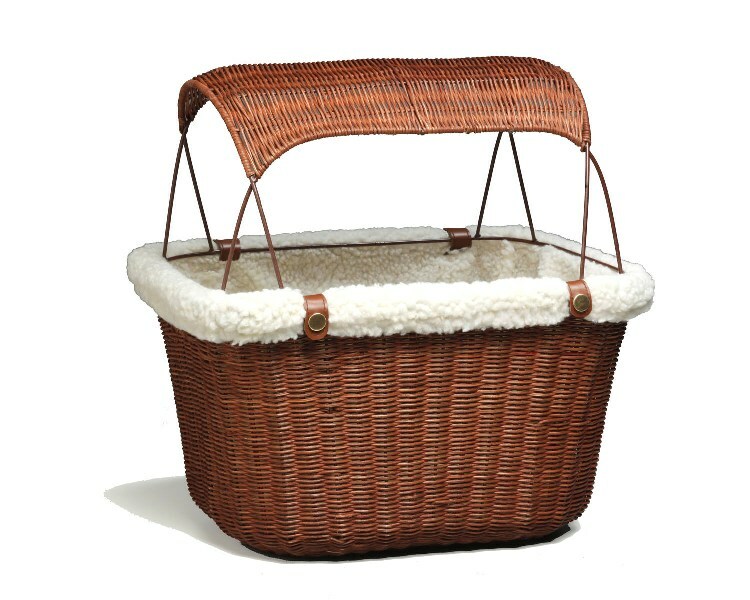 The wicker sun shade not only provides cool shade for your pet but puts the finishing touch on this elegant dog bike carrier. 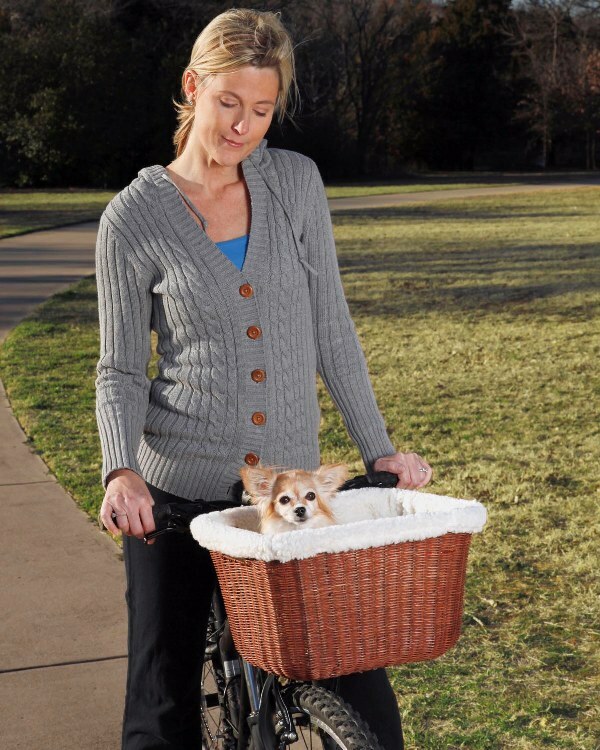 The pictures tell the story of this elegant wicker dog carrier for your bike. Attach the sun shade and get ready for the compliments. 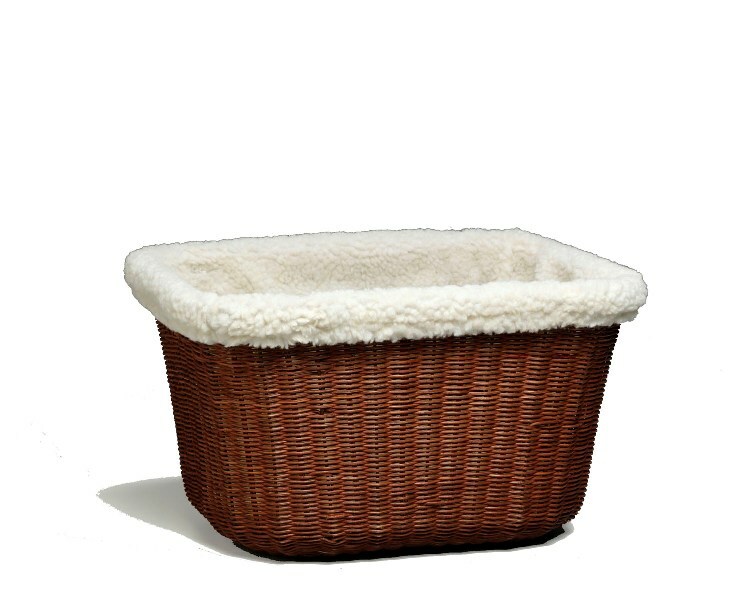 Breathable construction along with the sun shade and the sheepskin liner keeps your pet cool and comfortable. 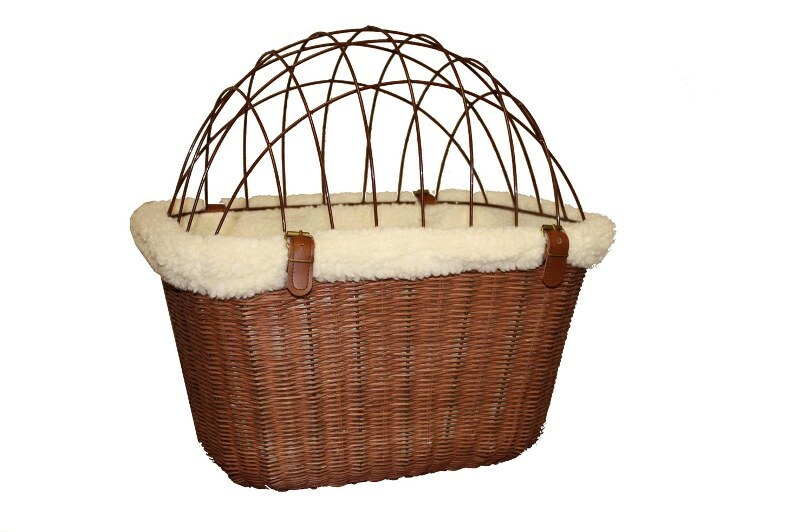 NOTE: The wire safety cage is sold separately and can be seen and purchased here. Carrier is covered by a one year warranty against defective materials and workmanship on this item.